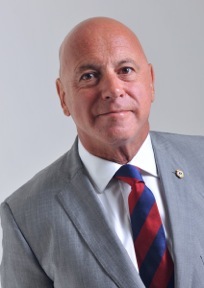 An experienced and successful Managing Director in the automotive retail sector, today David is an entrepreneur combining a portfolio of business interests in the motor trade and property sectors with the same tenacity and energy he brought to his role in leading a major multi-site retail group. David has developed particular expertise in helping car dealers to maximise the value of their property portfolios, borne of his extensive experience in managing a substantial dealer group. Property is often the most valuable asset to a dealer business, but the support available to discreetly and effectively manage the value of the property and support the business, especially through property disposal was in short supply. David has subsequently created an imaginative and supportive approach to meet this very real need. As well as leading Automotive Assets, David’s experience with both car manufacturers and retailers provides him with objective insight into the challenges facing the automotive industry. As a dealer MD, David took a leading role chairing a dealer council over an extended period. In this position, David successfully led the co-ordination of the dealer manufacturer relationship to develop brand and operating standards to ensure a sustainable business model. It is combined knowledge that regularly sees David providing his expertise on a consultancy basis to support dealers, manufacturers and suppliers in sales and aftersales activities.